Nestled north of Lake Victoria in East Africa, the Republic of Uganda is one of the world’s largest landlocked nations. While still a relatively impoverished nation, the country has benefited from rapid economic growth in recent decades, with the capital of Kampala benefiting far more than the poverty-stricken rural areas of the country. 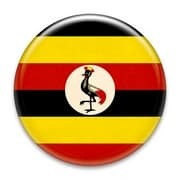 Perhaps best known to many foreigners for the brutal reign of dictator Idi Amin, today Uganda is a republic, albeit one that has been led by the same president (Yoweri Museveni) since 1986. Uganda is also a nation with a fairly well-developed gambling industry. In particular, sports betting has taken off in the country as a way for people to place a bet on their favorite football (soccer) teams or attempt to make a little extra money on the side. As Internet access becomes more common in the nation, online gambling has also gained in popularity, though the growth of the industry hasn’t been without social consequences for the developing country. Uganda has long licensed the gaming industry, and that has included sports betting, which has proven to be the most popular form of gambling in the country. There are a number of different regulated sites that are available to players here, though many foreign sites have also targeted the market here. Given the government’s lack of effort in stopping these overseas operators from flourishing here, they are a serious competitor to the approved sites. In regulated form, there are a couple of operators who stand out as particularly major players here. EliteBet and Worldstar Betting are among the biggest players, with Betin, SBA Uganda, and ABA Bet also being important names in the sector. Many of these firms are regional powerhouses: in particular, Worldstar is known for being on the larger African bookmakers, and also operates dozens of land-based shops in the nation. When it comes to African sports betting, there is one deposit method that stands out above all others: mobile payments. By charging payments directly to users’ mobile phone bills, there is no worry about whether a customer has a bank account or other traditional financial instrument, something that would make it difficult for many Ugandans to participate on such sites. Generally, making a deposit through this mobile deposit method requires having an account on a participating mobile provider. 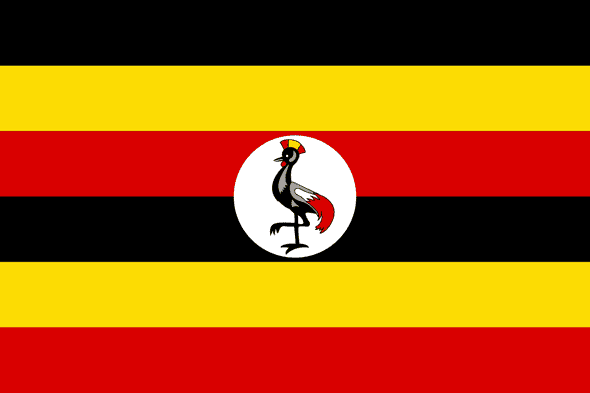 In Uganda, there are several popular carriers, including MTN, Airtel, Orange, and UTL. Players can use the mobile money bill paying feature through their phone in order to transfer funds to the bookmaker instantly. Withdrawals can often also be processed back to the same phone account. Because of the proliferation of live betting companies (particularly in Kampala), making cash deposits at these locations is also possible when dealing with companies like Worldstar. In addition, foreign sites may offer other options that are more commonly used internationally, such as credit cards, e-wallet solutions, bank transfers or prepaid products. While not all of these will be supported here, they may provide additional alternatives for some players. The most popular sport in Uganda is football, and not surprisingly, this is also the most common sport for citizens to bet on in the country. From local and national team matches to the major competitions of Europe, there’s never a shortage of matches for gamblers to bet on, nor a shortage of people who are willing to place a wager or three on their favourite teams. That’s not to say that there aren’t other sports that are popular in the country as well. Basketball has recently gained popularity in the nation, and international gambling on tennis, volleyball, cricket, and rugby is also common. North American sports like baseball and American football also get a fair amount of attention, and larger sites offer plenty of exotics, including emerging markets like e-sports. Ugandan gambling regulations began in the 1960s, a time during which many African nations looked to take control of gaming and use casinos and lotteries as a source of income. The National Lotteries Act of 1967 and the Gaming and Pool Betting Act of 1968 were instrumental in laying down the framework that exists in the nation to this day. However, it is important to realize that for most of the time since then, this was only a very loose framework at best. This led to two major problems. First, there were too many operators in general, which targeted a population that could scarcely afford to live their daily lives, let alone spend money on placing bets. In addition, it was hard to control the proliferation of illegal shops, which lacked even the loose controls of licensed operations and provided absolutely no tax revenue for the government. Those issues began to be addressed in 2013, when the licensing fees for gaming companies were raised to the equivalent of $3,500. In addition, the National Lotteries Board also took steps to limit where gambling venues could be established, keeping them away from churches, schools, markets, and other public facilities. Under current law, most forms of gaming that are popular worldwide are legal here. Casinos, sportsbooks, poker, lotteries, and bingo are all offered (though the lottery is only available through a national state-run drawing). In addition, online gambling is authorized and regulated, with some land-based operators also holding iGaming licenses for the same kinds of games they offer in their brick-and-mortar establishments. Land-based gaming is surprisingly popular in Uganda, considering the lack of wealth in this nation. However, the industry begins to make a lot more sense when you realize that it is most concentrated in Kampala, the relatively cosmopolitan capital city where incomes are higher than in most of the country. That city is where you will find all of Uganda’s full-scale casinos. The largest of these are actually quite luxurious, catering to both upscale Ugandans and foreigners who are visiting the city for business or pleasure. For instance, Kampala Casino offers a variety of table games and slots, alongside a restaurant and other amenities that make this feel like more of a traditional resort experience. Also popular is their sister venue, the Pyramids Casino, While the Mayfair Kampala offers about 25 slots and another 16 tables for players along with complimentary food and drinks. More common for the average Ugandan is a trip to the local betting shop, which can offer up the same variety of sportsbook options seen at online sites. Many international firms have set up shop here, as there are more than 70 registered betting companies in the nation. While they are all over the place, once again the capital is the heart of the industry, where many shops offer free Internet and other amenities to attract bettors. While information on gaming taxation in Uganda is not easy to come by, it does appear that players pay taxes on their winnings in the form of a withholding at the time they receive their prizes. This is at least true for sports betting, thanks to a 15% withholding rate that was put into place in the 2014-15 budget. What is clear is that gambling operators pay taxes, as you would expect from any licensing scheme. The government takes in nearly $5 million each year in gaming tax revenue, a reasonably large amount considering the low incomes of most citizens. However, it is likely that this number could be far larger were it not for the flourishing illegal betting shops that are just as (if not more) frequent than licensed operations. There seems to be little danger that sports betting and other forms of gambling will be eliminated from Uganda anytime in the near future, with even opponents seemingly being resigned to the fact that it is here to stay. However, there does seem to be some momentum in place for better regulating an industry that may need to be reined in a bit for the good of the country – and perhaps for the long-term viability of the sector as well. There are many problems that need to be addressed. In any community, it tends to be the poorest citizens who are most negatively impacted by gaming; extend that to a nation where most individuals cannot afford to gamble, and it is easy to understand how many can see the rampant availability of betting options as a major social ill. Issues ranging from poverty to gaming-related violence have caused some local municipalities to ban sports betting operations, and have left many others asking for better controls to ensure that online licensed venues are allowed to operate in the country. President Yoweri Museveni has also made overtures that suggest he would support efforts to tighten regulations on the gambling industry. In December 2016, Museveni gave a speech that suggested that Ugandans would continue to suffer high rates of poverty if issues like gambling and home-brewed alcohol were not addressed by his administration. Outside of government intervention, we also expect Ugandan bettors to follow the trends seen all over the world when it comes to a move to mobile wagering. While Internet penetration is still rather low here, it is increasing yearly, as is access to mobile phones. That, along with mobile-centric banking options, will likely continue to attract more gamblers to Internet gaming in the years to come.